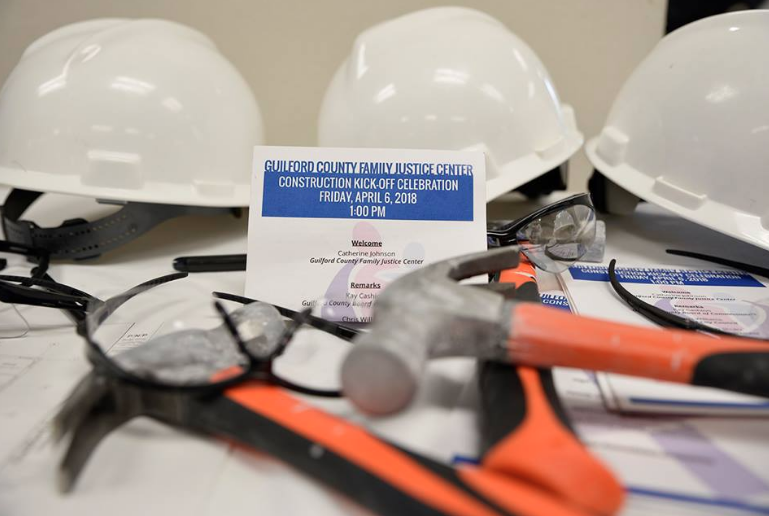 HIGH POINT — Members of the Guilford County Board of Commissioners joined High Point leaders, elected officials, community partners and supporters to participate in the Guilford County Family Justice Center – High Point location “Demo Day” Construction Kick-Off Celebration. The event was located at the Guilford County Courthouse in High Point where a new additional Guilford County FJC will be located. 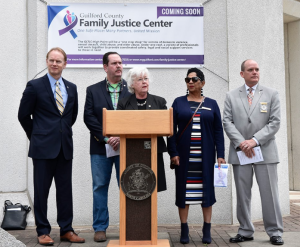 The new High Point location for the Guilford County Family Justice Center will provide the same level of service and support as the main Greensboro location but will focus on serving residents of Guilford County living in High Point. While the facility will be located at the Guilford County Courthouse in High Point, it will have its own entrance as well as parking. The anticipated completion date for the new location is early fall. 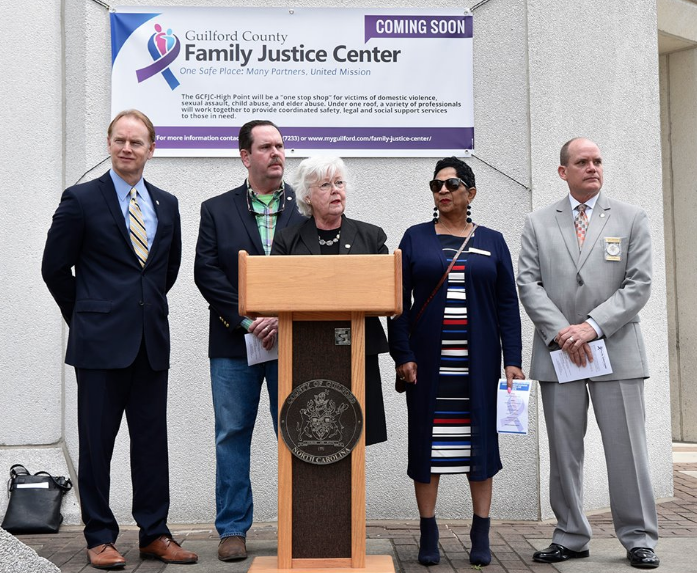 The mission of the Guilford County Family Justice Center is to empower family violence victims to live free from violence and abuse and hold offenders accountable by providing easily accessible, coordinated, and comprehensive services in a single location. Its vision is to protect the vulnerable, stop the violence, restore hope and make our community safer.